Mobile technology has transformed the traditional buying and selling landscape. When we think from your shoppers’ point of view, it all comes down to accessibility of data, quality of information and flexibility of operations. There are 3 phases of customer engagement; pre-purchase, actual purchase and post purchase. If you successfully delight your customer across these stages, you are bound to witness brand loyalty leading to higher profits. 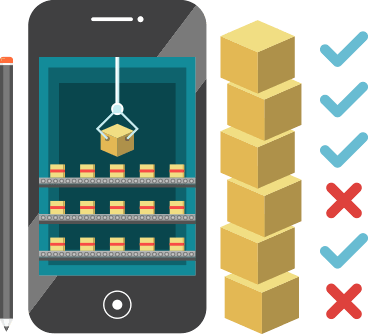 And, an m-commerce app helps you achieve these goals seamlessly. Browse, download and save catalogues, brochures, price sheets etc. Deliver Amazing Shopping Experience To Your Customers! 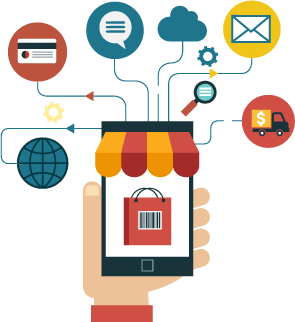 Mobile commerce applications let you create a custom interface based on your customers’ interest, behaviour and past record of purchases. Such customized view of your branded products will enhance users’ app browsing experience and let them connect with your brand instantly. Such experiences infuse loyalty in customers’ behaviours. 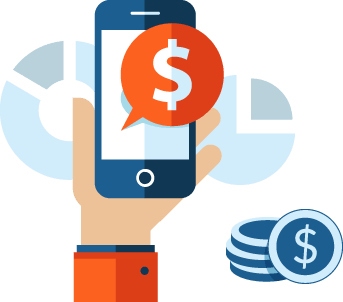 The investment in creating mobile commerce applications is significantly lower compared to traditional medium of advertising such as TV, radio and print. Moreover, with the help of an effective app marketing strategy, your mobile app attracts high number of users. Work with a team to build an app at affordable cost. 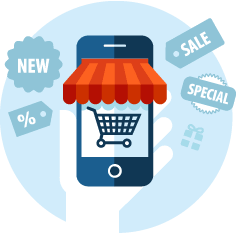 A mobile commerce app allows you to connect with your customers anywhere, anytime. Provide real time information of a product launch or a discount offer to customers on their hand-held devices. Build a user friendly, robust mobile app and experience exponential sales.